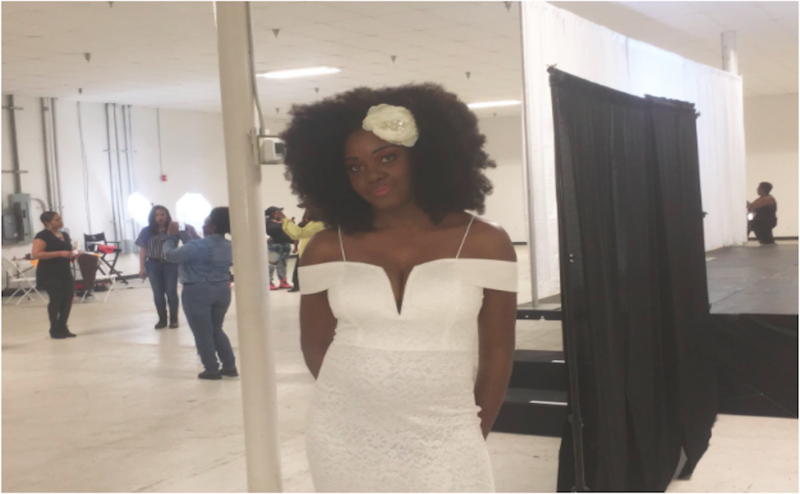 Murfreesboro’s first annual Natural Hair Fashion Show took place Saturday evening. 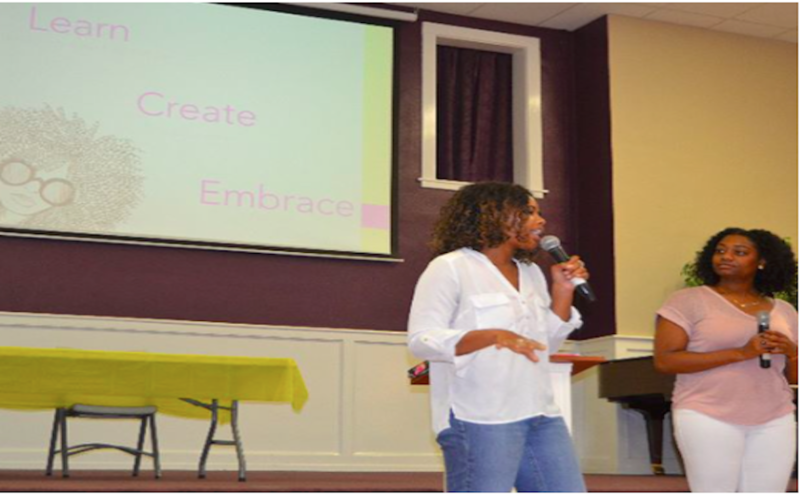 The purpose of this event was to give women an idea of how to take care of their natural hair, how to style it, what products to use and to overall promote natural hair in a positive setting. There were four distinct looks displayed throughout the evening: an up-do, casual and creative styles and the wedding look. Anndra Gardner, the event organizer, said that she hopes to put an end to the rumors about natural hair. Crystal Jones-Bond and Anndra Gardner prepare for the show to begin on Saturday, March 14, 2018 in Murfreesboro, Tenn. (Kashima Allen / MTSU Sidelines). Earlier that day there was a natural hair conference that gave people a chance to learn how to do their hair. Everyone in attendance had their own reason for why they wanted to attend the fashion show. Renauldo Grant said he came to support women and their natural hair. Whitney Mccurrie, one of the attendees, said she came for hair tips and to support a friend. Whitney Mccurie attends the first Natural Hair Fashion Show on Saturday, March 14, 2018 in Murfreesboro, Tenn. (Kashima Allen / MTSU Sidelines). Chris A. Bond, 92Q’s host of “I just Got My Hair Did,” hosted the show that evening while the DJ spun various tracks. From old-school hits such as “I Like” by Guy, to new crowd favorites like “Pills and Automobiles” by Chris Brown, the music helped create a fun and lively atmosphere. During one of the intermissions that allowed for the models to change outfits, The DJ kept the fun going and played “Wobble,” which got the entire audience on their feet while waiting for the fashion show to resume. Model Nikki Grant said she wanted to volunteer to walk the runway because she wanted to show off her hair and felt like it was a great opportunity. The Natural Hair Fashion Show was sponsored by Phoenix Deep Rooted, Makeup by Judy, Brooke Loves Hair and more. It was a fun, educational and inspirational night. Organizers are planning another show for next year to educate even more women on their natural hair.